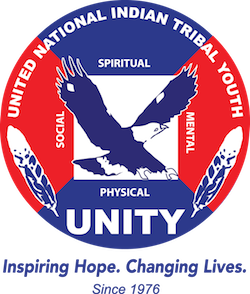 Wish List – UNITY, Inc.
Like many non-profits, UNITY relies heavily on financial support to further its mission of advancing and supporting Native youth leadership development across the country. Throughout the year, UNITY requests financial assistance by way of sponsorship proposals, applying for grants, special event fundraising, and more. This year, we were asked the question, “Besides cash donations, what is on UNITY’s Wish List that one might be able to donate as an in-kind gift?” We pondered the question for half a second (because we already knew where we could use the assistance! ), and we rattled off a list. We decided to share our list with you, in hopes that you or your organization/corporation (or even someone you might know) can help! Printing sponsorship of brochures, fliers, programs, etc. Gift cards – gas, restaurants, sporting goods, lumber yard, office supplies, etc. We would be so very grateful for your donation of any of these items! If you think you may be able to help UNITY with an in-kind gift or sponsorship, please contact Mary Kim Titla, Executive Director, at (480) 718-9793 or by email at [email protected].